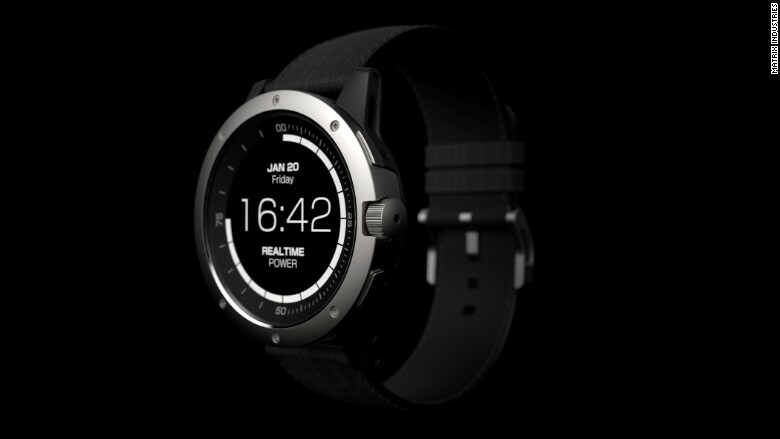 The PowerWatch, developed by startup Matrix Industries, is the first wearable powered by body heat. Wearable technology is handicapped by batteries. The Apple (AAPL) Watch has 18 hours of battery life, and a Fitbit Flex needs to be recharged every five days. Compared to traditional watches with batteries that last for years, smart wrist accessories are excruciatingly limited. But Bay Area-startup Matrix Industries wants to free us from battery woes. Its first wearable is charged by body heat. The PowerWatch uses thermoelectrics, a material which converts temperature differences into electricity. On a small scale, it's still a relatively nascent technology, but you'll find it in picnic coolers that plug into your car or seat coolers in luxury vehicles. Here's how it works: When electron particles are heated and move from the side touching your body to the exposed watch face -- which tends to be cooler -- it creates a voltage difference that generates power. This charges the battery, so you don't need to connect it to a power source. The power meter is prominently displayed as a ring around the watch, highlighting the changes in the battery level. We tested how the watch's prototype responded to body heat by power walking around a conference room. The battery level ticked up in response to the movement. Related: Apple Watch sales are way down: Are smartwatches still cool? "When you exercise, your skin gets warmer, so you'll generate more power," Akram Boukai, Matrix Industries cofounder and CEO, told CNNMoney. "It's kind of motivational." The PowerWatch is similar to other fitness trackers and includes calorie, sleep and step tracking. A companion app displays those stats and highlights many watts of power you've generated throughout the day. While it doesn't have as many capabilities as the Apple Watch or a Fitbit, it's a way for the company to demonstrate how the tech could be incorporated into wearables in the future. Boukai and his team plan to take thermoelectric energy harvesting to healthcare, manufacturing and shipping industries. For example, Boukai anticipates it will help patients with hearing aids avoid the need to constantly change their batteries. It could also assist those with pacemakers who have to replace their batteries every five to 10 years. The process of pushing thermoelectrics into the size of a watch couldn't have happened five years ago. But improvements in microprocessors have made it possible to build something that fits on the wrist. Larger wrists, that is. Matrix is launching its watch line for men first, starting November 14 for $99.99. The price will eventually jump to $170 when it hits retail stores late next year. 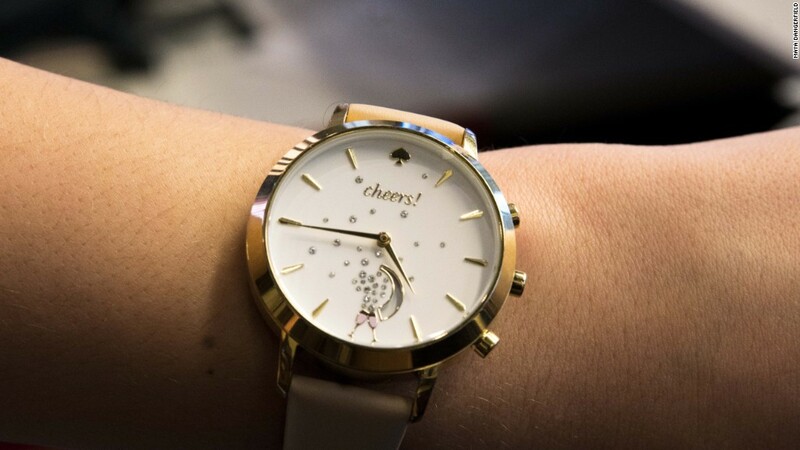 The company plans to debut watches for women in the future. The startup, which was founded in 2011, has raised $8.5 million from investors including Khosla Ventures, 3M Corporation and Sand Hill Angels.